When you observe an unexpected rise in your energy expenses or your residence is not as comfortable as it ought to be, there can be an issue with your home heating as well as a/c devices. Nevertheless, they represent approximately fifty percent of your total power usage. A number of elements could trigger them to come to be ineffective. Several of these are obvious, while others call for some examination of your system. Home Heating and A/C: Just What Triggers Energy Inefficiency? Defective home heating and cooling systems not just endanger your residence’s comfort and power performance however could additionally influence your wellness. That is why when you discover any one of these issues, look for the assistance of a specialist. Incorrectly Sized Unit. A device that is small for your house will need to work harder to manage the correct interior temperature level. On the other hand, a device that’s too large will certainly cycle on and also off lots of times, wasting power. When purchasing an A/C system, have a specialist determine your residence’s energy loss rate to identify the ideal sized unit for your demands. Out-of-date System. The Department of Energy states that the life span of an HVAC system is 15-20 years when effectively maintained. The majority of older systems, nevertheless, run successfully for around a decade. When they reach this age, they could be dealing with deterioration affecting any number of components, which may create functional inefficiency. If your cooling and heating system is nearing the end of its lifetime, or has exceeded the expected performance timeframe, consult with your A/C specialist to discover the most effective strategy to avoid major problems in the future. Dirty Air Filters. Replacing the air filters once a month is essential to making certain peak efficiency on your cooling and heating system is realized. When left neglected, unclean filters will certainly prevent air from distributing efficiently throughout the air ducts. This could place unneeded stress on your system, leading to greater power usage. Additionally, mold and mildew, dirt, microorganisms, and also various other harmful particles could infiltrate the air, which could potentially cause illness. Leaking Air ducts. Much like various other parts, your air ducts will certainly degrade in time. Due to the fact that a lot of them are made from steel and are flexible, they could rust and become fragile over time, triggering leakages. Moreover, the caulking will ultimately become dry and crack. Sometimes, if any duct work isn’t secured well, it may become disconnected, further facilitating potential leaks. Obviously there is value in keeping your ducts sealed and insulated to maintain energy efficiency. We’ve currently covered ways to prepare your residence for chilly temperature levels, however do you understand the prospective effect snow and ice may have on your A/C system? Adhere to the guidance following to prevent replacing your heating system prior to it’s being definitely required. Snow and Ice Accumulation: When snow as well as ice accumulate on and around your unit, this can trigger your system to ice up and activate an emergency shut down. Because of this, warmth to your house will certainly be cut-off, and also your water pipes might be in jeopardy. Obstructing the Exhaust: Way too much snow can obstruct your heating system exhaust. This could stop your device from functioning, and even worse, enable dangerous chemicals like carbon monoxide gas to enter your house. The majority of heaters will certainly have a safety switch to turn off your system if it ends up being obstructed. Damages to Your Exterior Unit: Icicles that collect over your outside heating and cooling system could drop and harm your system. This damages could be rather considerable and also cause costly replacements. Air Flow Obstruction as well as Leak: Too much snow as well as ice accumulation could obstruct air flow, stopping your system from functioning properly. In addition, this accumulation could make your pipes leak and not function appropriately. 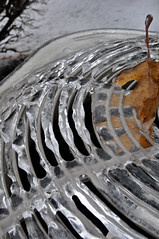 Rust Accumulation and Corrosion: Melting snow could let water leak right into your system, freeze once more, and subsequently expand, resulting in rust and corrosion accumulation throughout your cooling and heating device. Appropriate Setup of Heat pump: If your house utilizes the outside system in the winter months, it suggests it is a heatpump. Guarantee the setup service technician establishes your exterior system on a surface typically exceeding ordinary snowfall (6-10 inches) rather than straight on the ground. This will typically be done with plastic legs called “pump ups” in the market. In addition, the system ought to be 18 inches (or even further) from the outdoor wall surface, in order to enhance air flow as well as prevent exposure to potential drifts. Cover You’re A/C Unit: If your outside system does not run throughout the winter season, you have a regular A/C unit. Covering your system will safeguard it, as long as you enable sufficient area for air to flow near the system. Consider sheltering your unit with a free standing structure or a small roof, protecting it from the elements. You could additionally utilize hedges or a fence to construct a wind obstacle, however permit adequate space for servicing the device. 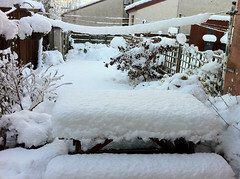 Remove Debris: Shovel away snow accumulation as it gathers. Clean and evaluate your gutters regularly to be certain they aren’t allowing water to drip down into your unit.. Disappear ice from your system utilizing cozy water. Inspect Your Filters Routinely: A blocked filter will certainly limit air movement and also may create an ineffective A/C system, unable to maintain your preferred temperature level. 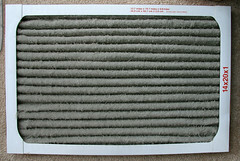 Air flow is important, so replace your filter frequently. Air flow issues can trigger furnace issues as well, so keep up with your filters! Employ an A/C Professional: Having your system examined on a regular basis could avoid expensive damages down the line. Tip from the Pros: Cover your pipes if they are exposed to the elements! Most importantly, manage your expectations for system performance in the winter. Your cooling and heating system is intended to perform optimally on cold days, just not on ALL cold days. Below zero temperatures may exceed the capabilities of your system, so put on a sweater, don’t turn up the heat. If you do experience problems, or have any type of concern regarding your cooling and heating device, contact us! Whether your cooling and heating concerns are brought on by snow, ice, or other problems, we look forward to keeping you and your family cozy this winter.